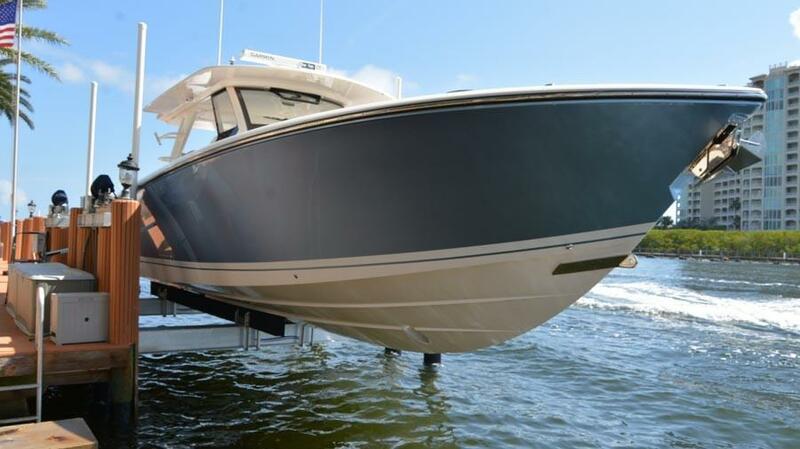 Pursuit Boats, a family-owned and operated company founded in 1977, is an industry leader in innovative fishing boat design and manufacturing. 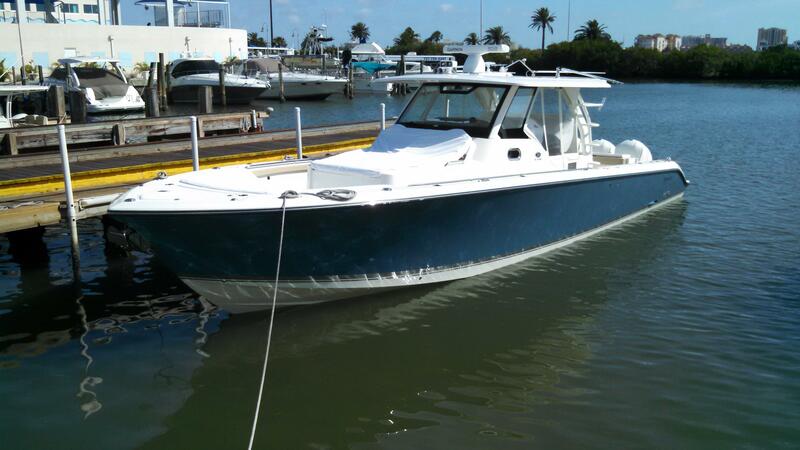 Pursuit Boats are regarded as some of the best fishing and cruising boats in the industry. Equipped to sustain extreme ocean conditions and loaded with yacht-quality amenities, Pursuit builds boats that define integrity and quality. Worth Noting: Pursuits were originally built in Holland, Michigan. 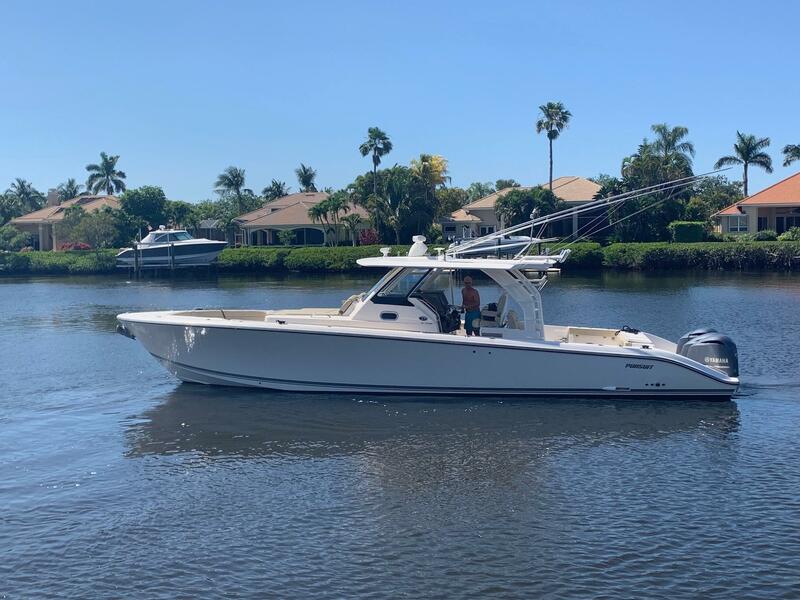 Pursuit 280 Sport 2011 - Current 28' 0" 9' 6" 2' 10"
Pursuit 2870 Center Console; C 280 1997 - Current 28' 0" 9' 6" 1' 8"
Pursuit 2870 Offshore Center Console 1996 - Current 28' 0" 9' 6" 1' 8"
Pursuit 2700 Open; 2700 Express 1983 - 1993 29' 5" 10' 0" 2' 2"
Pursuit 2800 Walkaround 1988 - Current 30' 0" 9' 6" 2' 6"
Pursuit OS 285 2008 - Current 30' 8" 9' 6" 1' 9"
Pursuit C 300 Centre Console 2001 - Current 30' 10" 10' 6" 3' 3"
Pursuit 3000 Express 1998 - Current 30' 10 10' 6" 2' 10"
Pursuit 3070 Offshore Center Console 1999 - Current 30' 10" 10' 6" 3' 3"
Pursuit OC 350 Offshore 2002 - Current 30' 10" 10' 6" 1' 6"
Pursuit ST 310 2010 - Current 31' 2" 9' 6" 2' 10"
Pursuit C 310 Center Console 2007 - Current 31' 2" 9' 6" 1' 10"
Pursuit 3070 Center Console 2001 - Current 32' 8" 10' 6" 3' 3"
Pursuit 3070 Offshore Express 2002 - Current 32' 8" 10' 6" 1' 6"
Pursuit 3100 Offshore 2004 - Current 32' 4" 10' 6" 3' 3"
Pursuit OS 315 Offshore 2008 - Current 32' 8" 10' 8" 1' 6"
Pursuit 3250 Express 1990 - 1992 33' 0" 12' 6" 2' 8"
Pursuit 3400 Express 1997 - Current 33' 9" 12' 9" 2' 2"
Pursuit OS 325 2014 - Current 34' 6" 10' 10" 2' 8"
Pursuit C 340 Center Console 2005 - Current 34' 5" 9' 6" 1' 10"
Pursuit LS 345 Drummond Runner 2007 - Current 34' 5" 9' 6" 2' 6"
Pursuit 3480 Center Console; C 340 2005 - Current 34' 5" 9' 6" 1' 10"
Pursuit 3370 Offshore; OS 335 2004 - Current 35' 1" 10' 6" 2' 4"
Pursuit OS 345 2008 - Current 36' 4" 12' 0" 2' 11"
Pursuit 3800 Express 2002 - Current 38' 6" 14' 2" 3' 11"
Pursuit OS 375; 385 Offshore 2008 - Current 39' 5" 13' 0" 3' 6"
Pursuit SC 365 2012 - Current 41' 2" 15' 9" 4' 0"
Pursuit 3800 Offshore 2002 - Current 43' 3" 14' 2" 3' 11"
Leon Slikkers left his job at Chris Craft in 1955 to build a new brand of wood runabouts. Six years later the company began building in fiberglass. 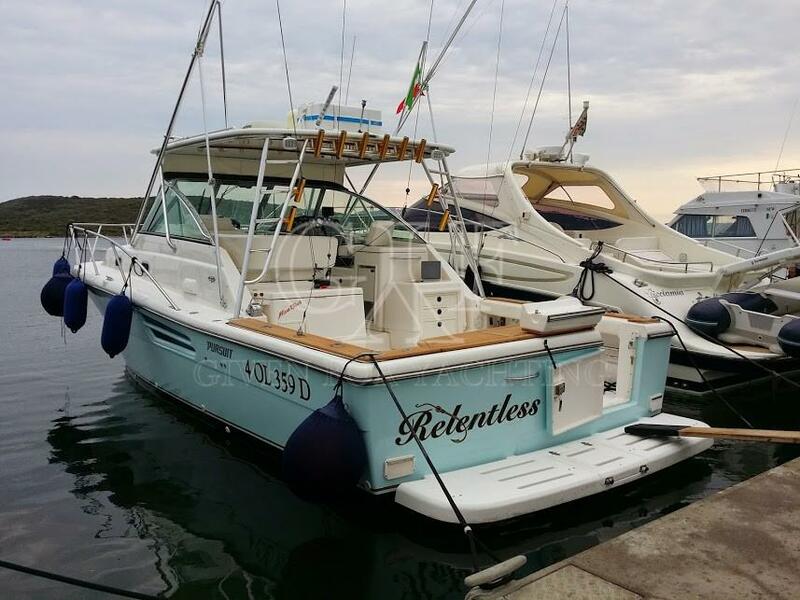 By 1977 Slikkers and S2 Yachts began the Pursuit series of boats. 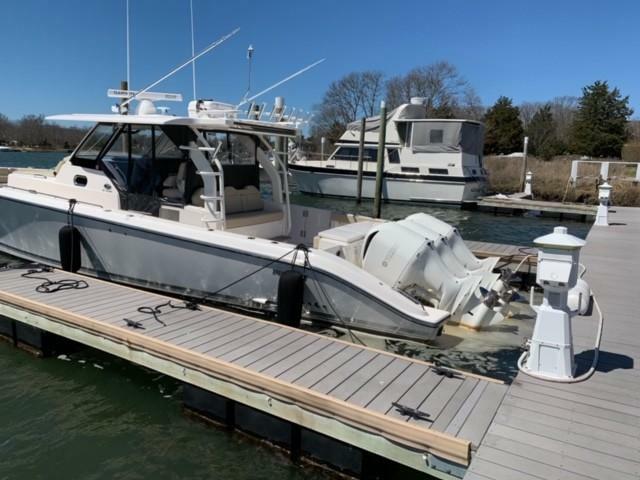 Since that time Pursuit has rapidly built a strong legacy of high-quality center console, walkaround, and express fishing boats. 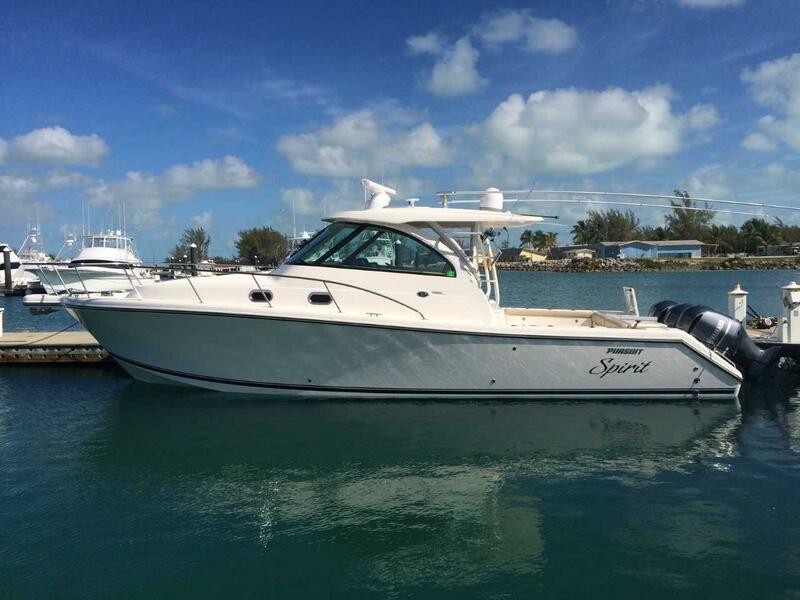 Fewer brands can offer the vast array of models and styles Pursuit presents as its fleet of fishing and cruising boats.